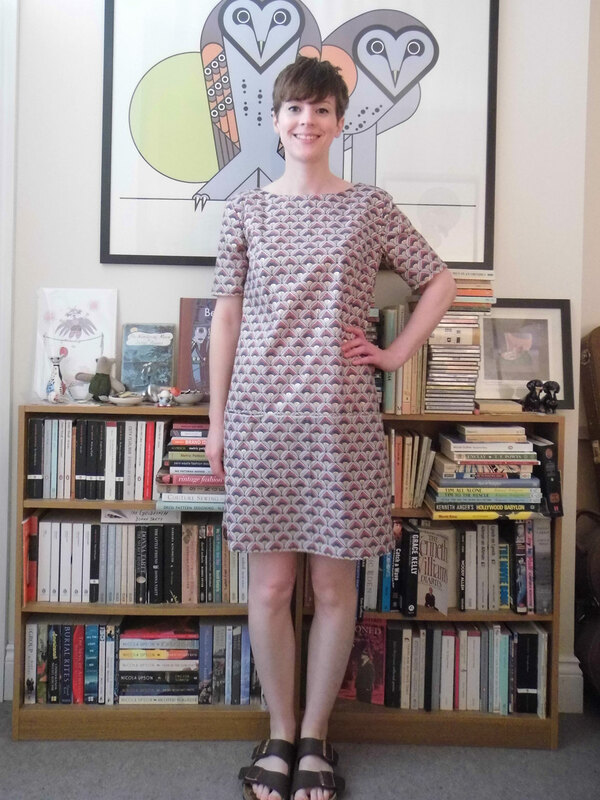 This is my first – and no doubt last – Nina Lee Carnaby Dress and I love it! This was one of my planned Summer makes and I did make it last month, but just as the weather started to turn a bit chiller. Hopefully I will get some wear out of it with tights and a cardigan in this Autumnal weather. I do slightly wish I’d made it without sleeves so I can wear it with a long-sleeved top underneath for extra warmth, but c’est la vie! And it has pockets! I really like how they’re hidden in the hem seam. The fabric is some lovely cotton from Sew Over It, which they sadly don’t have any more. In fact I got the last metre and a half/ 2 hours (I can’t remember which). 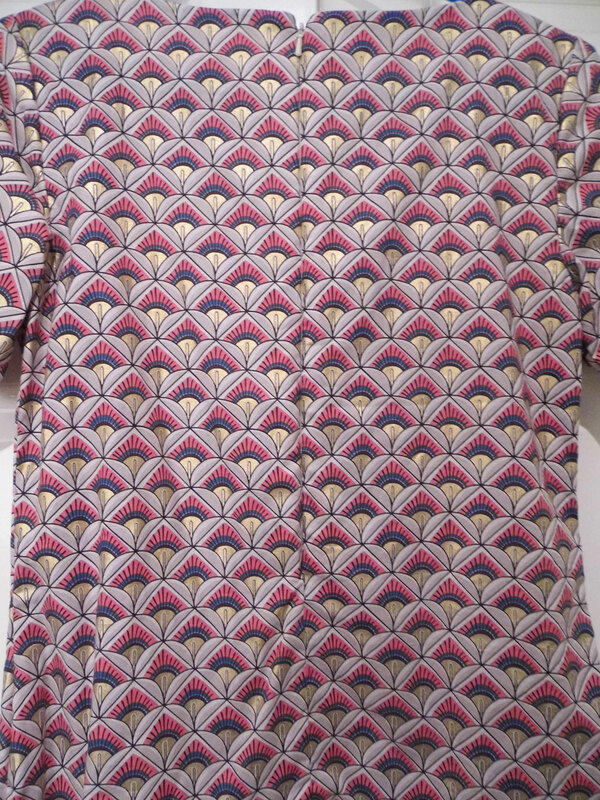 When I first saw the fabric, I thought it would make great pyjamas, but they didn’t have enough left for the Carolyn Pyjamas. I made the size 10 and the only change I made was to use an invisible zip instead of the exposed one called for in the pattern. I also spent ages trying to pattern match across the back seam and on the pocket seams but it didn’t seem to work as well as I’d hoped. I managed to just about get it to look matched across the back, if not perfectly centred. 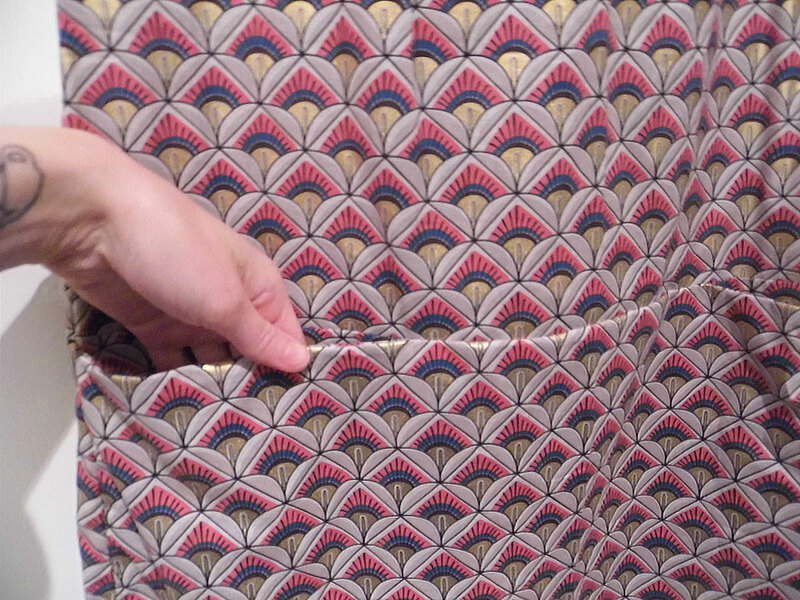 The pocket seam is almost hidden, but again, not as well as I’d hoped. I think I just need a bit more practice at doing it – I haven’t done much pattern matching before, so I’m not the best at it! 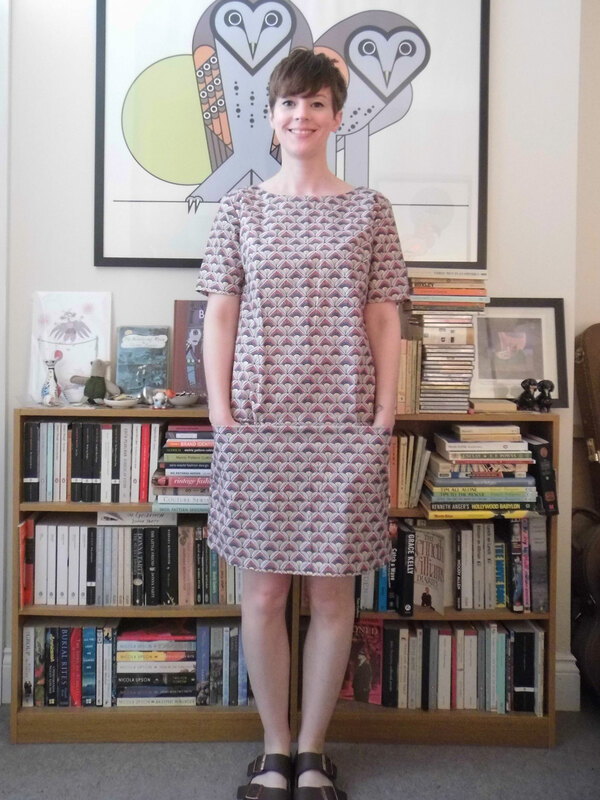 I really do like this fabric – there will be lots of colours of tights and cardigans I can wear with it. And it was a pretty quick make. This was my first Nina Lee pattern (I have plans to make the Portobello trousers before the year is out) and I’m impressed. 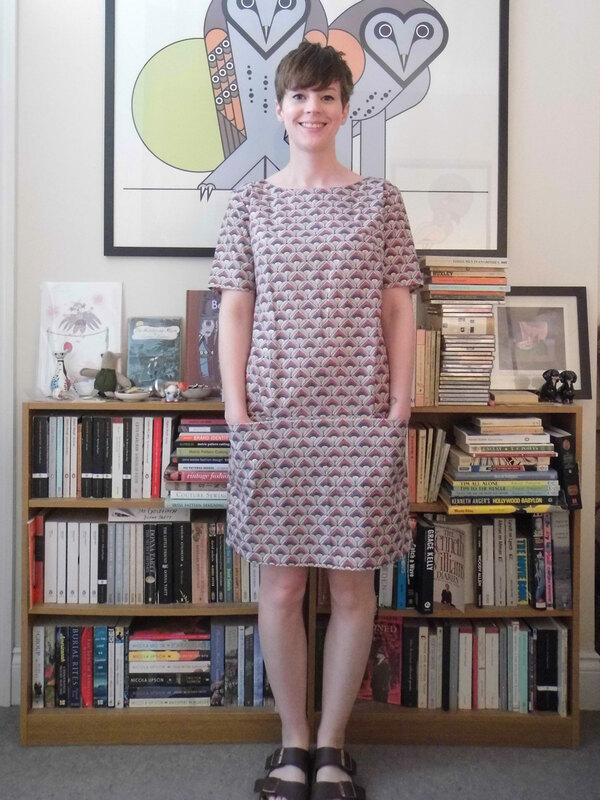 The drafting seems to be good – often I find sleeves and shoulder seams really tight, but this fits and is comfortable right out of the packet. The instructions were also really clear and easy to follow. Next time I might do the exposed zip she recommends as the instructions for that seemed really clear too. I would definitely recommend this if you’re relatively new to sewing, or if you want a quick make that will give you a really chic dress. With this and my jungle print laurel, I have definitely rediscovered my love of the simple shift dress. p.s. 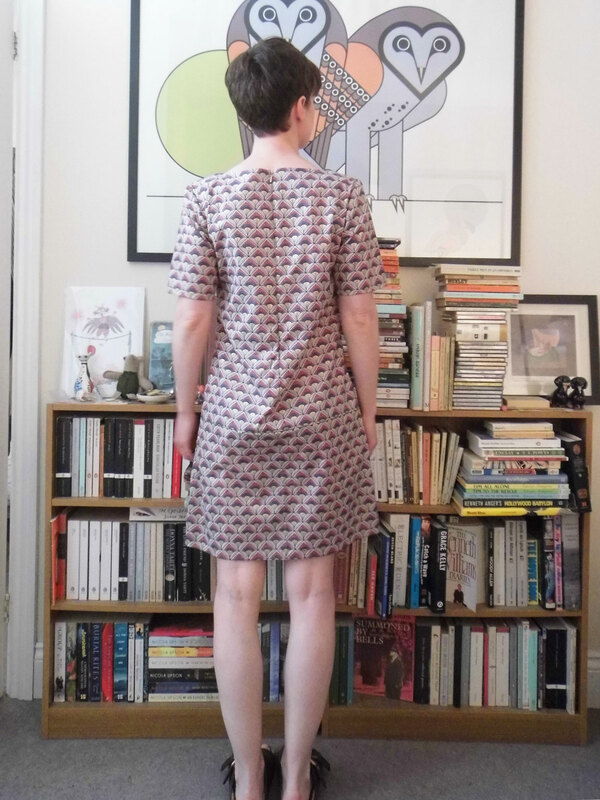 I might keep my eyes open for anyone selling more of this fabric as I would still like some really chic pyjamas – let me know if you see it anywhere!